Here’s a list of all the various HIMSS Conference & Exhibition related blog posts I’ve written over the years. My first HIMSS Conference was in 1993 – the same year I started my long career in Healthcare Information Technology and Services. Thanks to 2018 HIMSS Social Media Ambassador Matt Fisher (@Matt_R_Fisher) for providing me the inspiration this morning. Ideas & Tips for Maximizing the Most Important Conference Asset: You! 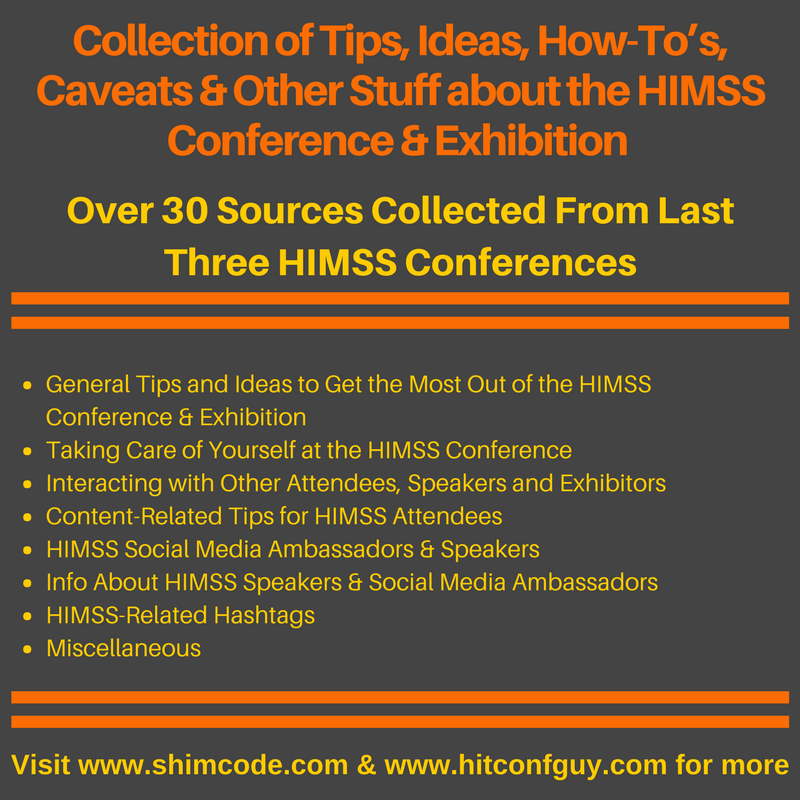 Why should you follow the @HITConfGuy Twitter Account before and during #HIMSS16? 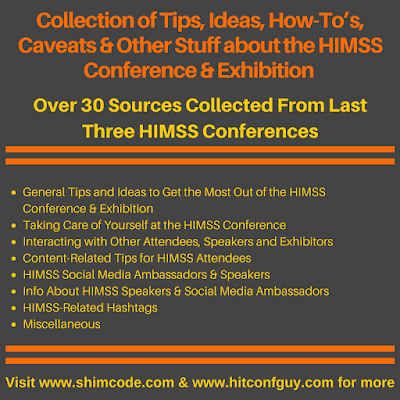 For more information, ideas, insight and commentary on healthcare and information technology - including the 2018 HIMSS Conference & Exhibition, consider following me on Twitter where I share as @ShimCode and @HITConfGuy. If you have any tips, ideas and/or content you'd like to share, send it to me at info@shimcode.com. Thanks!